Your support of the Integrative Mental Health Conference helps ensure that integrative care—mind, body, and spirit—becomes the standard for all healthcare, including mental health care. Since our last Integrative Mental Health Conference in 2010, the science has advanced and evidence has piled up demonstrating the value of integrative care in mental health. 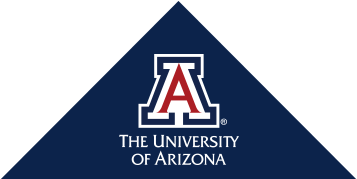 The University of Arizona Center for Integrative Medicine hosts high quality educational experiences drawing attendees who are focused, engaged, and leaders in their fields. An intimate exhibit space with a limited number of underwriters ensures consistent traffic and frequent interactions for underwriters desiring exhibit space. In addition to three full days of rich plenary sessions, concurrent sessions, and experiential workshops, there are a number of special events during the conference, with additional opportunities for exhibitors to have direct contact with health professionals and thought leaders. Additional thanks for generous support to the Grace Foundation and the Mont Fund. Download the 2019 Integrative Mental Health Conference exhibitor prospectus.